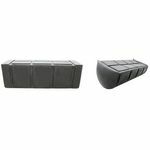 Molded Foam Filled Plastic Dock Floats | BARR Plastics Inc.
It’s time to build an unsinkable dock with BARR’s vast line of EPS foam-filled dock floats. 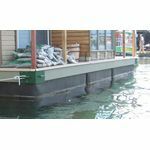 ACOE-approved with an industry-leading 15 year warranty, our standard dock floats are resistant to UV rays and damage by animals, ice, bumps by watercraft and contact deterioration from petroleum products. 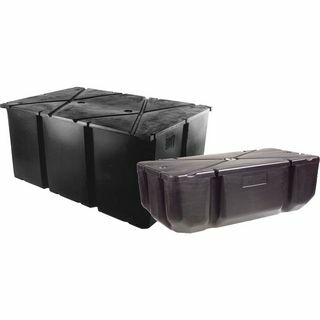 With a one piece roto-molded polyethylene shell, they’re relatively lightweight and are highly cost effective compared to concrete systems. Extra wide ribbing on the exterior of the floats provides easier tool access during install and tank tested buoyancy ratings are +/- 5%.